*Hi there: I have answered the questions below, but also wanted to provide this testimonial. *Thank you Marlo and Mike for making my husband's surprise 70th birthday so very special. He had no idea what was planned for him that evening, which was no easy feat! Your limo and service is truly elegant...so beautiful and quite a special treat! Everything worked out like clockwork...Mike is an excellent driver, especially on such a foggy night. 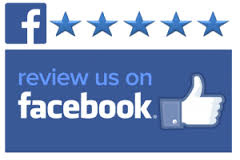 Rest assured we will highly recommend you to our friends. The dinner at the Hyde Park Prime Steakhouse was also wonderful. Thank you so very much and may you and yours have a very blessed and Merry Christmas! Thanks so much for the excellent experience and the 2nd day upgrade! I will be passing along your info to our Traveling Secretary for the Cincinnati Reds as I highly recommend your company for Daytona Beach limo service. Just wanted to tell you how much we enjoyed the limousine service. Michael was both friendly and professional -- the limo was so nice and clean. Many thanks for making this so pleasant for us. We wanted to thank the both of you for everything. Everything went great and smoothly. Also Steve said you guys wanted to know how the champagne was, it was great ! Especially since neither of us drink champagne. Thanks again for being apart of our day and making everything great , we appreciate it. I hired Marlo and Mike to take a friend and her little boy to Disney. It was a trip of a lifetime for them and Marlo and Mike went out of there way from the start to make everything perfect. The car was beautiful and clean and they were very sweet and nice to both Sarah and Skyler. If you ever need to hire a limo company there's no reason to call anyone else. Everything from top to bottom was first class and I couldn't think of one thing that I would have changed. There trip was started and finished in a way that they will remember forever. If anyone sees this , please call them , you will not regret it! I used Elegant Limousines for my daughter's wedding on June 2, 2012. I appreciated the professionalism I received from my first conversation with Marlo right through the wedding day when Mike was the chauffeur. I had the platinum wedding package and Mike drove the guys, girls, dads, moms, etc. We all had a great experience and will definitely call upon Elegant Limousines again in the future. Its been a great experience from the first time I spoke to Marlo, inquiring about reserving a limo to the time Mike arrived to take my son and nineteen of his friends to their high school prom. Marlo being so patient with me and answering all my questions in a timely manner, and going over the authorization form confirming pick-up time and address, also stressing the importance of not going over the number of passengers. Want to thank Mike for arriving 30 minutes early and having the patience waiting for some guest to arrive which was as late as 45 minutes.Thank you Mike for answering many questions from the parents and assuring their sons and daughters were in great hands.You also let the kids have a good time. My son commented how cool and nice you were,and allowing them to have a good time. I thank you for contacting me when you found out there might have been a problem with some of the guest and you and Marlo taking the time to further look into the matter and able to resolve it without it becoming an issue. I was hoping to use your service for our son's graduation from high school but sometimes I have to listen to my wife. Mike and Marlo, I just want to say again THANK YOU!!! I will definitely recommend you to anyone looking for a limo service in Daytona Beach. Hello, I just wanted to write you a short note on thanking you for the fabulous service you provided for my 18 year old daughter (Jordyn Denzer) and her 20 year old boyfriend (Michael Ballweg) this past week. My daughter and her boyfriend went to Daytona Beach, Florida for Spring Break, and I secured your services for pickup at Daytona airport and to the hotel, then back to the airport 6 days later for “peace of mind” rather than using just any taxi service due to their age and vulnerability. Thank you, Marlo!! We appreciate the very professional service you provided and if we need to use a limousine service in the future, we will certainly be back as customers. Best of luck to you and your husband as you continue to grow your business!! Wow. The owners went above and beyond to make our night absolutely perfect. They arrived a few minutes EARLY (unheard for limo companies) and were wonderfully nice and courteous. They got us to our multiple locations on time and without issue. We used Elegant Limos for a 40th birthday night out with 17 people who all fit comfortably. The sound system was unbelievably good and we made use of their great AV system all evening. I would not dream of using any other limo company for any occasion. Elegant Limos is the premier limo company serving the area and I am thrilled we were fortunate enough to find them for our fantastic evening! HIGHLY HIGHLY HIGHLY RECOMMEND!!!! Thank you so much for providing service for my family and friends from the Peabody Auditorium in Daytona Beach on Sunday evening. Pick up and delivery were perfectly on time and went without a hitch, the limo was beautiful, and everyone had a great time! It was great to meet your husband, and I'm sorry I didn't have a chance to meet you, perhaps next time when it isn't raining so hard! I'll certainly be calling again in the future. Elegant Limousines literally SAVED our wedding day! When Daytona Limousines canceled on us without warning FOUR DAYS before our wedding, I immediately called Marlo and she saved us by agreeing to provide limousine service for us on our big day with very short notice. They were very professional, the limo was gorgeous, clean and on time! As they say, all things happen for a reason. Even though it was extremely unprofessional for Daytona Limos to cancel on us four days before our wedding and caused us some serious stress, I am glad that everything worked out the way it did. I cannot thank Marlo enough for everything that you guys did for us!!! Feedback Review: Terrific job! My engagement was centered around the limo trip and Marlo was out of this world! Marlo was ontime, limo was clean, and everything went perfect. It was a total surprise to my now fiance when the limo showed up. Marlo had the flowers arranged perfectly, gifts and balloons were in the limo already, and the I-POD of mine was already in place. Marlo kept everything on the DL and my fiance is still wondering how I did so much without her knowing a limo was even coming to pick us up. No other limo company could have done so much and no other limo company would have been that geared towards the details and customer service. We could not have imagined a better night. I wanted to make my parent's 59th wedding anniversary special. I live in Pennsylvania, so I searched the web looking for something I thought would be nice for them. When I saw the Sweetheart special on the Elegant Limousines web site I thought this would be perfect. When I talked to Marlo she said she would arrange the dinner reservation and have special menus made. Well, my parents had a great time and they even had the red carpet rolled out at their doorstep. I couldn't have asked for anything better. I highly recommend their service. It's first class. Your PalmCoast.biz Merchant Listing has received a new Feedback Rating from one of your customers. Feedback Review: I booked an Elegant Limousine as a special surprise for my daughter's eighth birthday this past summer. The company's owners were so thoughtful and gracious that without me even asking, they purchased balloons and party supplies to decorate the inside of the limousine perfectly for a little girl's birthday. When my daughter and her friends went outside to leave for the birthday festivities, the driver was standing next to the limousine holding a happy birthday balloon and he had even rolled out the red carpet. Wow! The girls were thrilled beyond belief and had a great time. Elegant Limousine is definitely a solid company with conscientious owners who are willing to go the extra mile to ensure a special memorable time. Feedback Review: We give Elegant 5 Stars for the overall flexibility they provided to accommodate our desired routes and stops. Celebrating a Birthday and a couple of retirements we had several destinations in mind and some mid-course changes in flight plan, all were met. Marlo makes the difference, you know right up front she loves her business and strives for total customer satisfaction. I recently used Elegant Limos of Palm Coast for airport transportation. 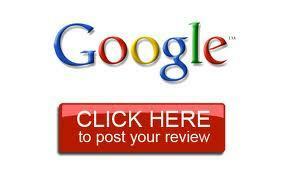 Marlo was professional friendly and provided outstanding service. She even made sure I got my coffee at 6:15am! I'm looking forward to using this service again on my next visit to Palm Coast. I am not from Florida but my Mom and Dad live in the Daytona area. My brothers and I wanted to give our Mom a special surprise for her 80th birthday. She always wanted to ride in a limo. Soooo...we made her dream and wish come true with the help of Elegant Limousines. Marlo was professional, personal and so accommodating. It was like she was part of the family in her desire to make our Mom's birthday the best ever. She did just that. She literally rolled out the red carpet for our Mom. We will never forget all that she and Elegant Limousines did to make our Mom's birthday a dream come true. If I could give her 6 stars instead of 5, I would. More than highly recommended. Top of the Line - Highly Recommended ! What a way to start an all-girl cruise. Nine of us were picked up at my home by a beautiful stretch limo with a fabulous driver, Marlo. She was exceptional in her service, arrivals on time, and made us so very comfortable. Our return from the cruise was equally great. Our group highly recommends this limo service. Marlo was wonderful. Great communication from beginning to end. I couldn't have asked for anyone to take better care of my boss and his wife. We even changed our jet's departure time and she managed to accommodate our change of schedule. We will use Elegant Limousines again. Thank you. RATED (5 stars) by WILDANGEL on Jan-24-2011 Top of the Line - Highly Recommended ( posted from local review site ) I met Marlo Friday and feel in love with her warm ,caring personality, In the future I will hire Nobody except her company! She sat with my husband and I and we talked for an hr like old friends and we had just met! Honest people like this are a blessing!! Her and her company put everything into making sure you have the time of your life when in their limo's!! I LOVE this lady!! I would recomend this car service. Our Driver Michael was right on time, very friendly and he knew the best way to get in and out of the speedway traffic. We were from out of town and did not know what kind of service to expect. These guys did everything as promised. Thanks we had a great time :) And the pictures look great I was happy to look at them. Here are some pics of everyone in the limo, and the picture of you and Chris. We will def use your limousine service again when the next event comes up! Prompt, pleasant pick up and REALLY appreciate the flexibility of arranging this spur of the moment transport to the airport. Happy New Year to all of you! Feedback Review: Marlo and Mike donated a service last night - they picked up my husband from the airport as a way of 'paying it forward' from when we were in business and servicing their lawn. They really went out of their way to make us smile - red caret, pictures, etc - they are awesome people full of love. Thank you again Elegant Limos - you are the best ever! I have just used this service for the first time and I know it won't be the last time!! What a delightful chauffeur!! Marlo was punctual, professional, courteous and a terrific source of information about Palm Coast which I greatly appreciated since this was my first visit here. She made the hour long trip fly by. Elegant Limousines deserves more than 5 stars!! I highly recommend this service. Feedback Review: I just returned home from an afternoon with Marlo. I have to say this is the most loving, caring , awesome Lady I have ever met. Marlo gave my 7 year old granddaughter a Birthday she, nor I, will ever forget. She picked my granddaughter up from her elementary school in her Limo, which was THE most incredible ride of my life, took her to dinner and a private party at Bob Evans. This was all done out of the kindness of her heart. Not only was the Limo the most beautiful you will ever see, Marlo and her Husband have so much pride in their business. Not only is she very professional, but will make you feel like a life long friend before your trip is over. I highly recommend Elegant Limousines of Palm Coast to anyone that not only needs a ride, but wants to ENJOY their ride. Thank You from the bottom of my heart. Highly Recommended I have to tell you Elegant Limo service is not only top quality in your basic expected business service, they are top quaility in personal service combined. I got married on Sept 12th, and me and my new husband, and our maid of honor and best man needed to stay behind at the resort, we had no means of getting our children home. Marlo and Mike had no hesitation in helping us. When they got they they had 7 children to trasport all ages. They made the children feel as if they were royalty. They spoke to them, not at them, they made them laugh and truly enjoy the trip home. The children's safety was their first and only concern, not just their physical safty, but their emotional safty as well, especially the baby who did not want to leave to begin with, but Marlo and Mike got her captivated just by treating her like she was a real person and not just a baby. They are amazing in every aspect and i would only recommend them, over many other co. that i looked into. Thank you so much. I appreciated your service and Michael was most gracious,the cars, and driver fits the name just elegant in every respect. They are on time, and very helpful in planning your limo trip to fit the occassion and needs. Can we fill a limo with School Supplies? All supplies and proceeds from the charity fundraiser will be donated to the student’s of Flagler County Schools. Thank you for your professional, friendly and comfortable service. You were there at Daytona Beach Airport waiting on me with a beautiful smile. I enjoyed your company and the cold bottled water. I am making my return reservation now. 5 STAR !!! From start to finish you were there for us 100%. Very professsional and savy. You certainly added to our trip, and made us feel very comfortable in your care. Marlo was a safe and courteous driver who showed up early and got us to our flight in plenty of time. Her pleasant personality and knack for customer service will result in our booking again with her.